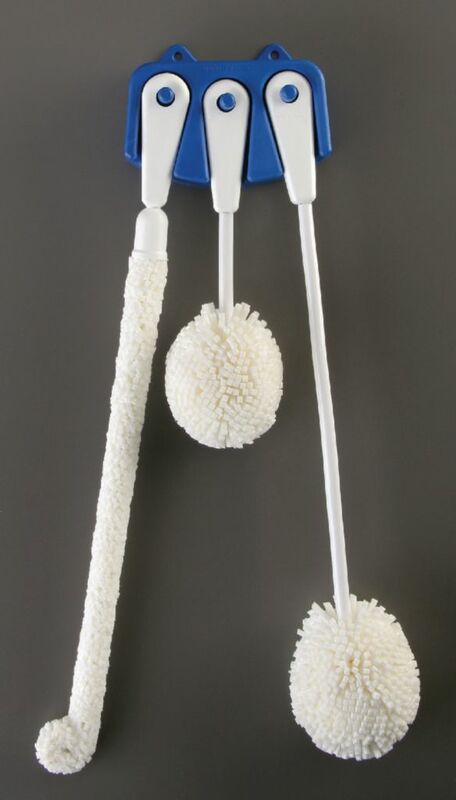 Cleaning the lab is so much easier with these dishwasher-safe brushes. The three-brush set includes brushes for long flasks, beakers, and cylinders. The set also includes a space-saving mounting block for use inside a cabinet or on the wall. The brushes are foam tipped, so they won’t scratch glass or plastic. Each ergonomically designed brush features wide handles that won't strain hands.